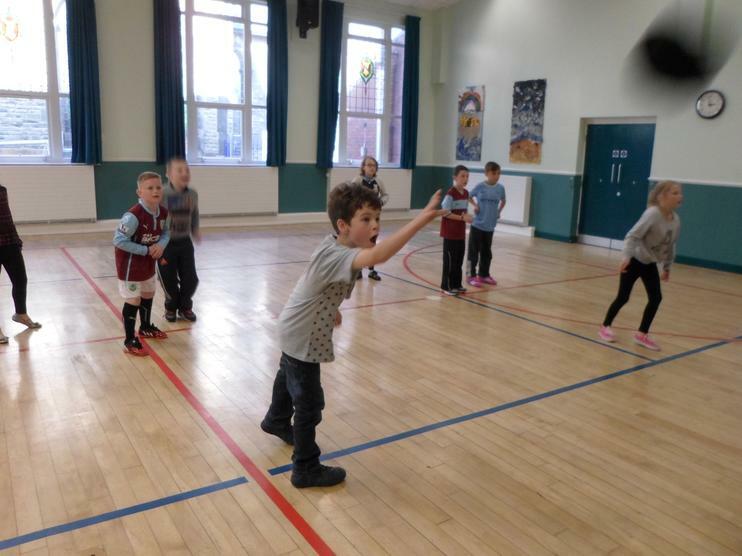 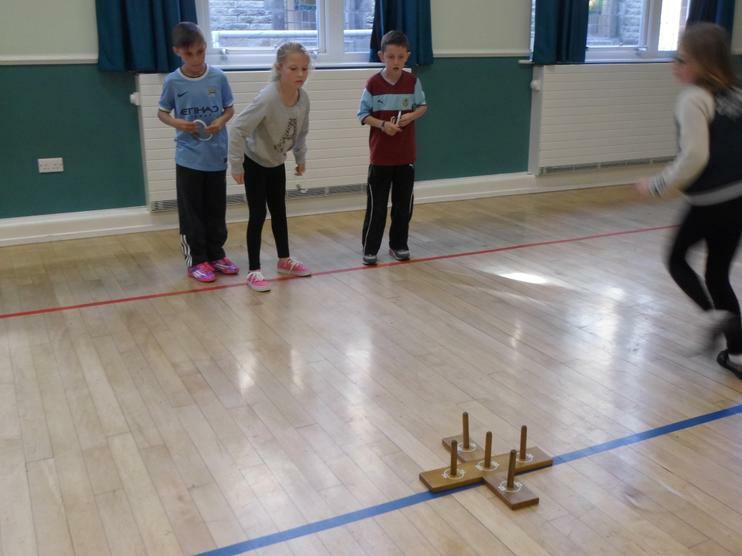 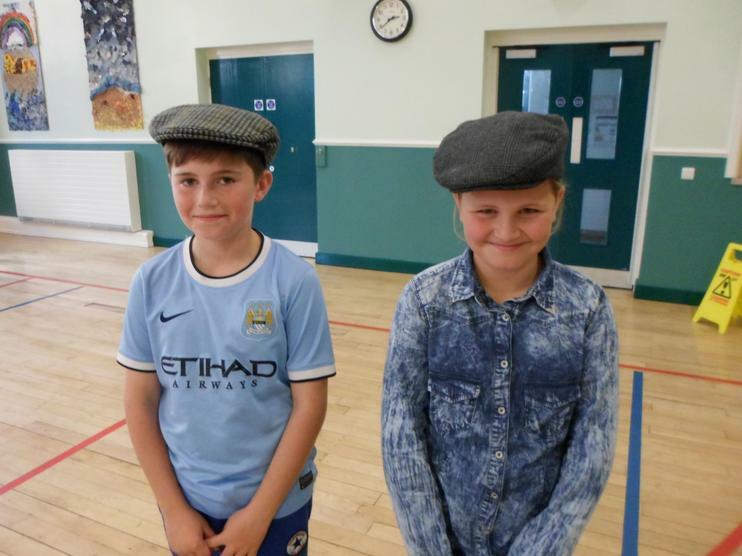 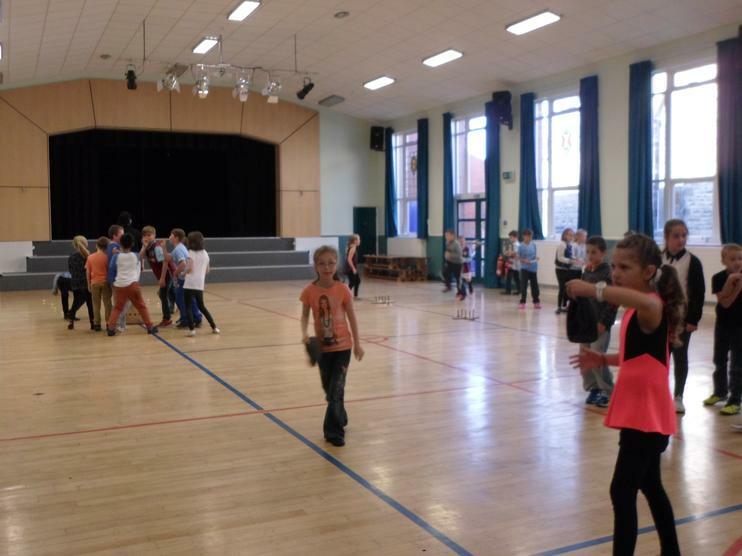 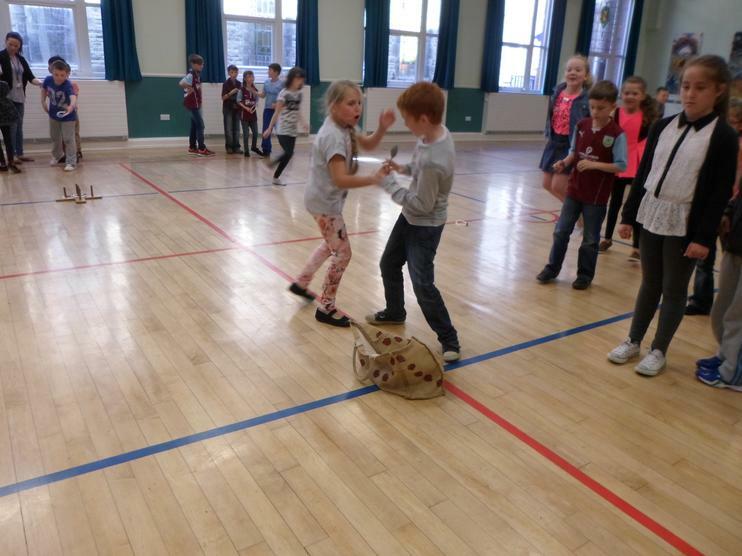 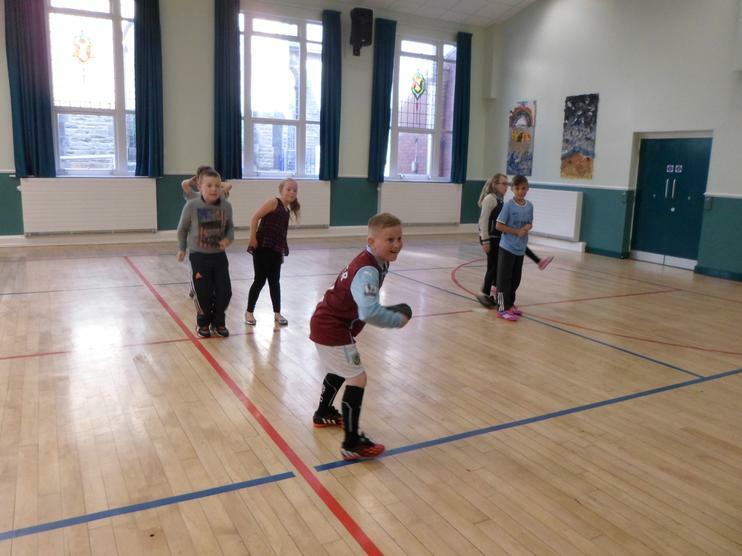 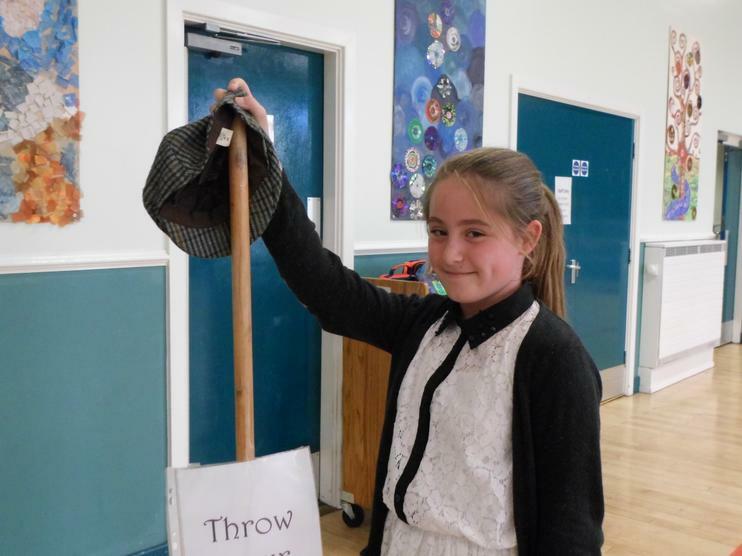 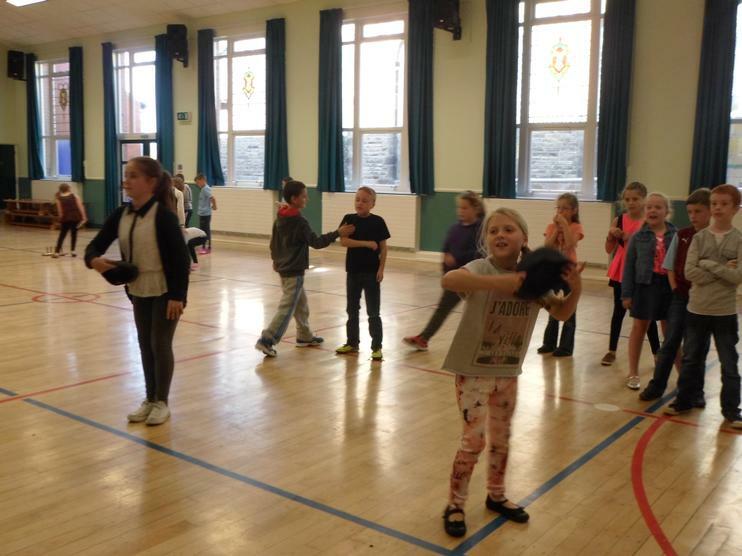 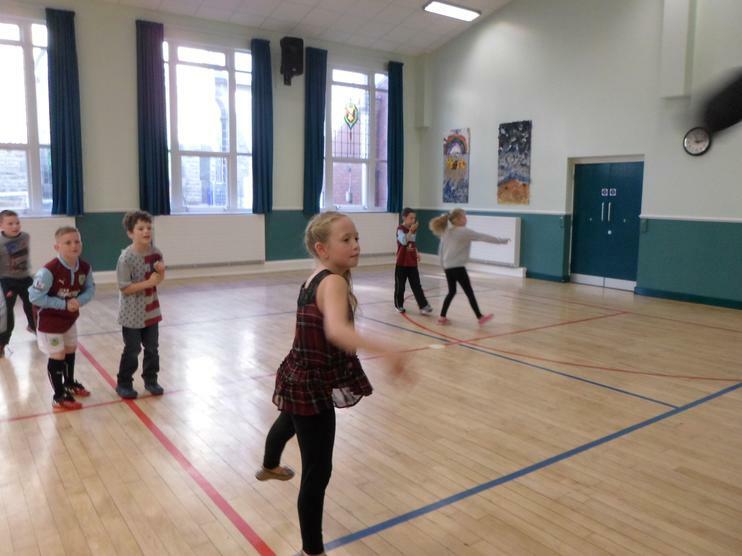 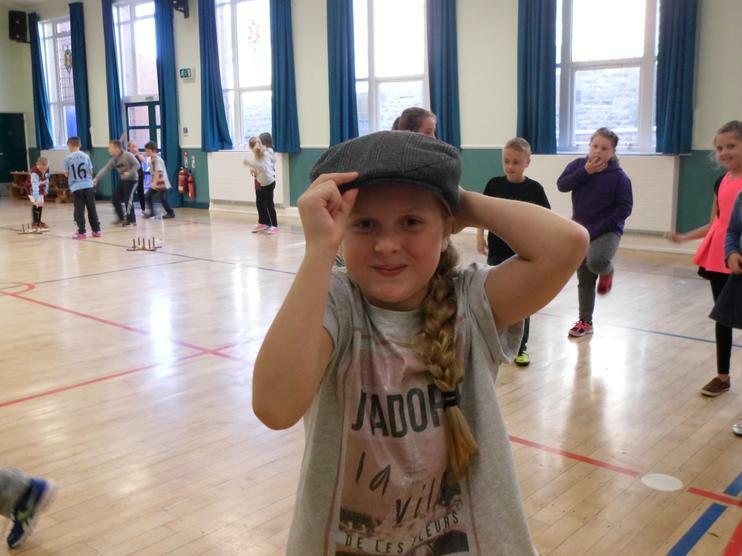 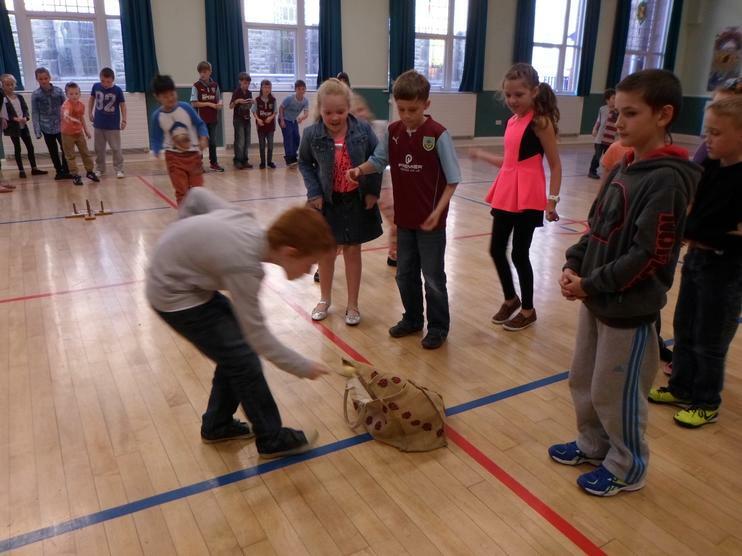 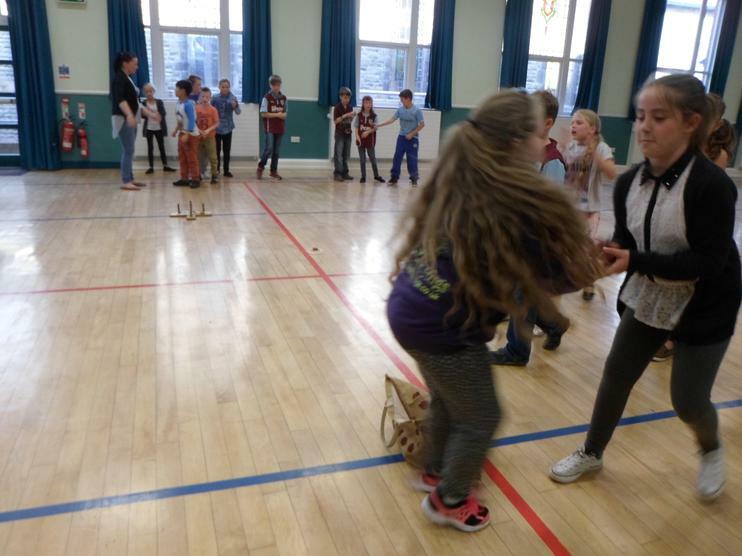 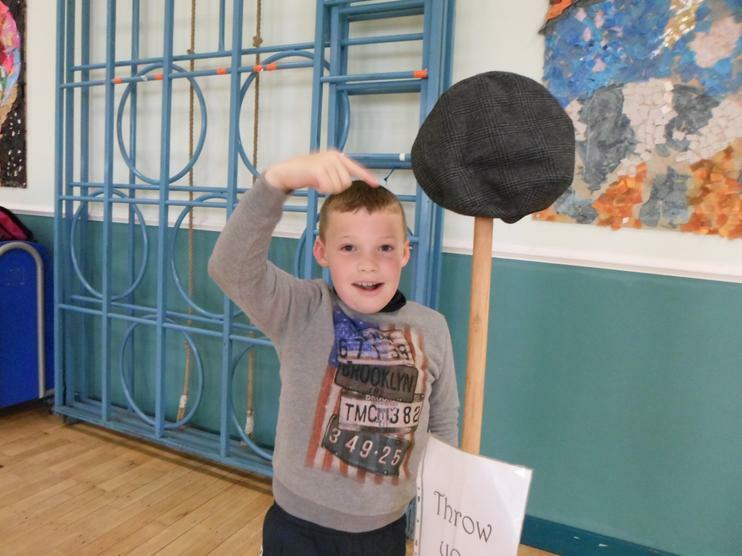 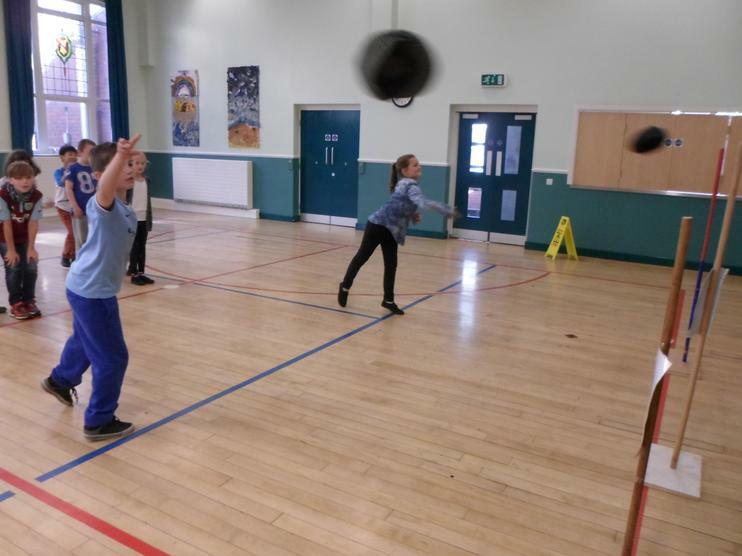 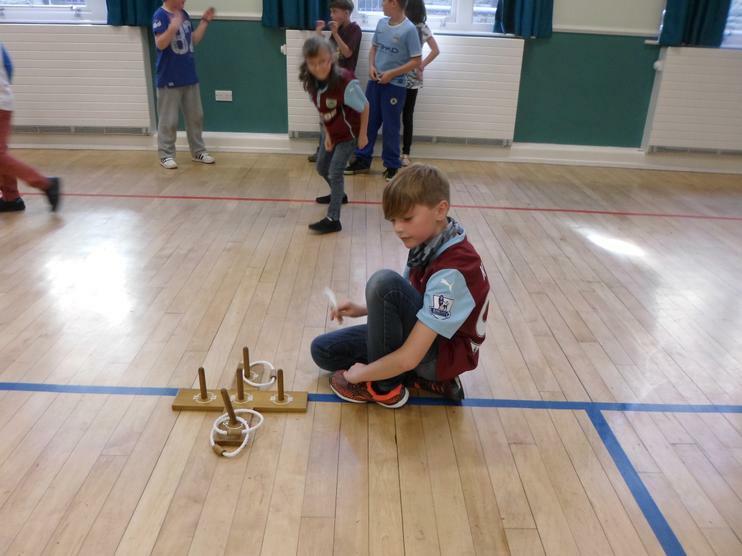 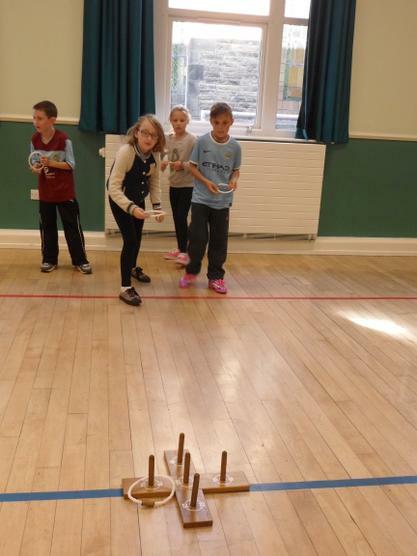 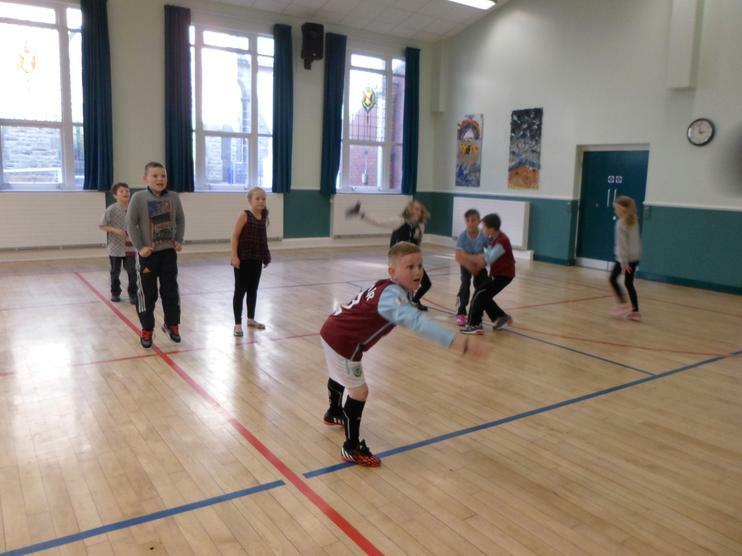 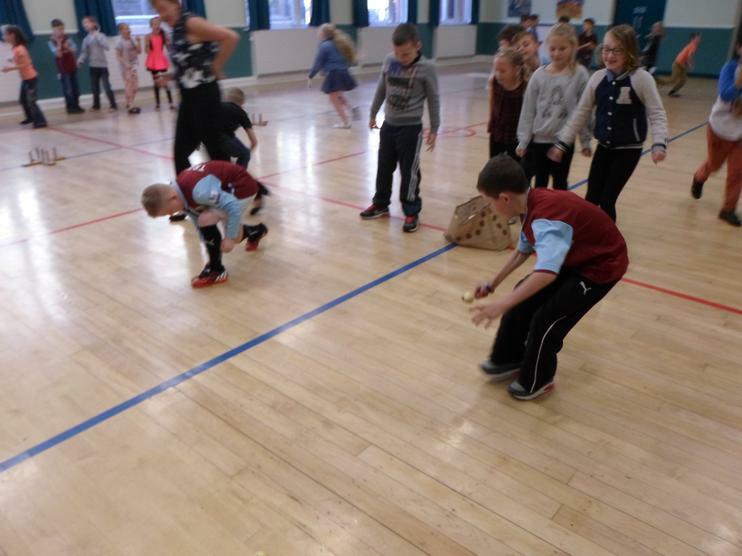 On Friday, Year Five had a great time in the hall, learning about some of the games, children used to play in the Victorian period. 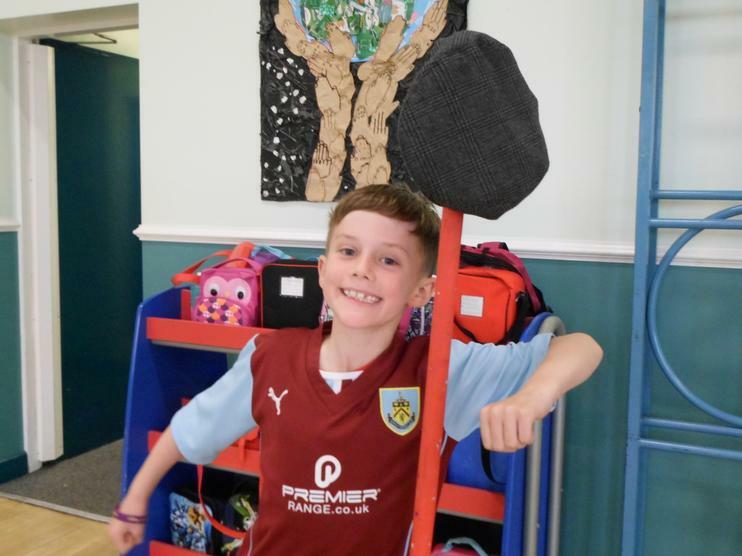 Although at times, life was a struggle for many poor children in the Victorian period, it certainly didn't stop them enjoying themselves. 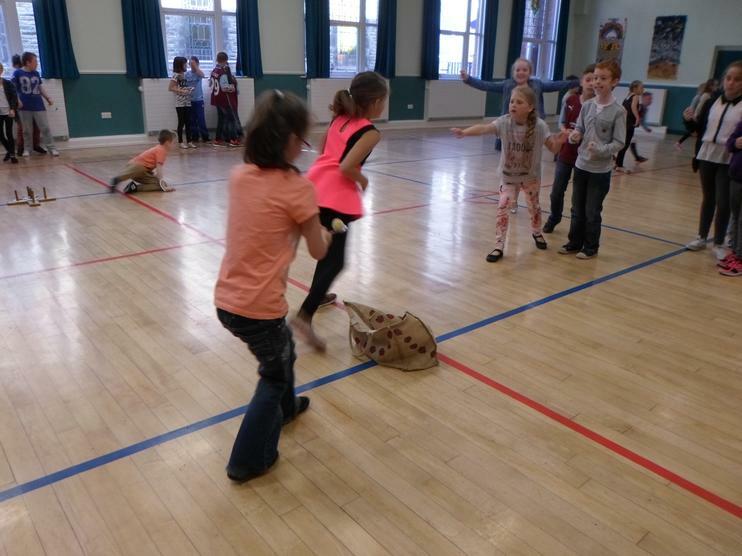 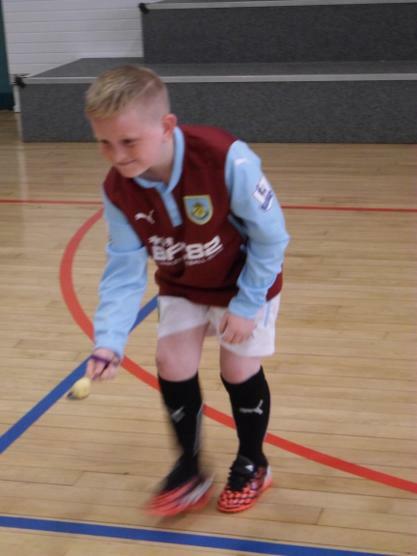 We played; 'Potatoes in the Sack', 'Cross Sticks' and 'Throw ya Cap'. 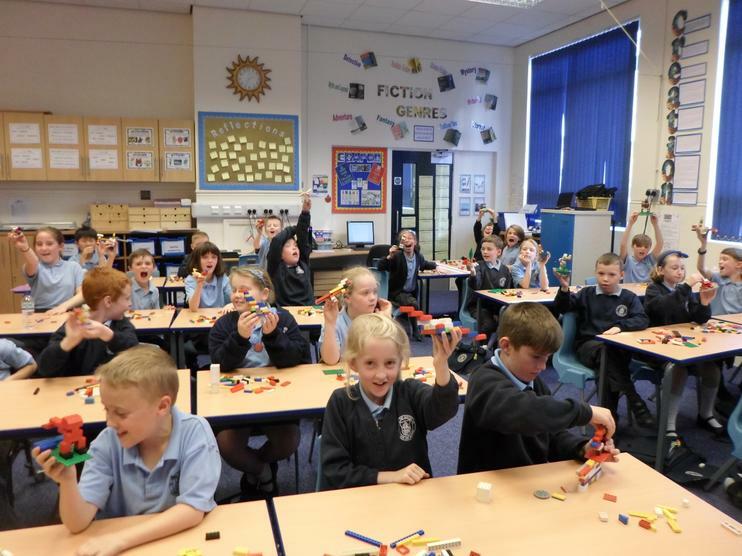 Take a look at these photos to see how much fun we had! 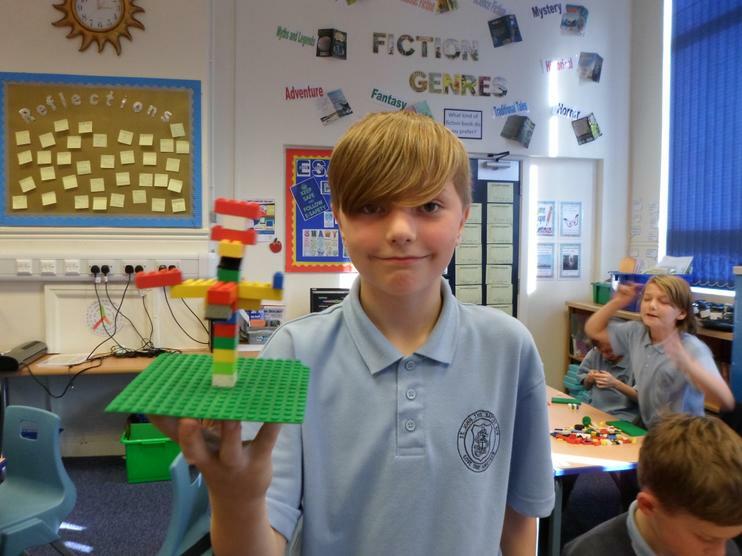 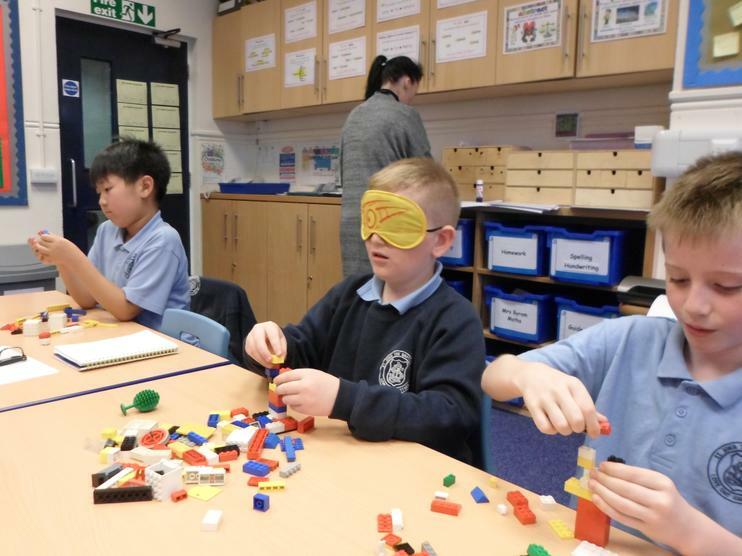 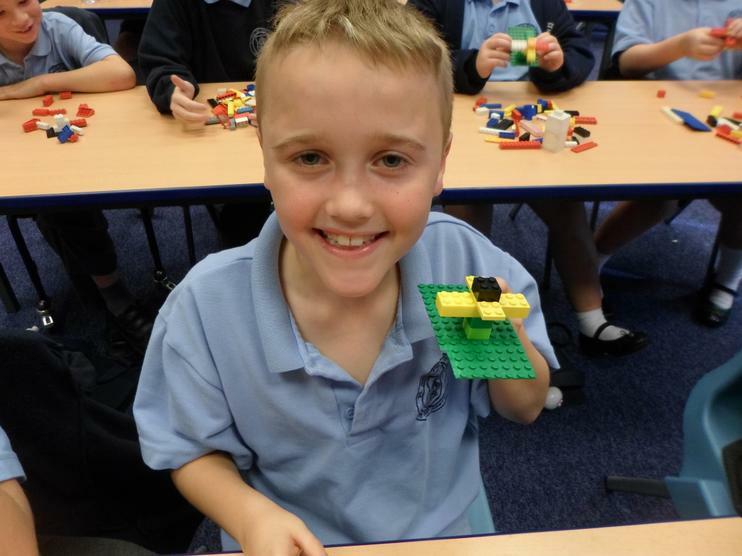 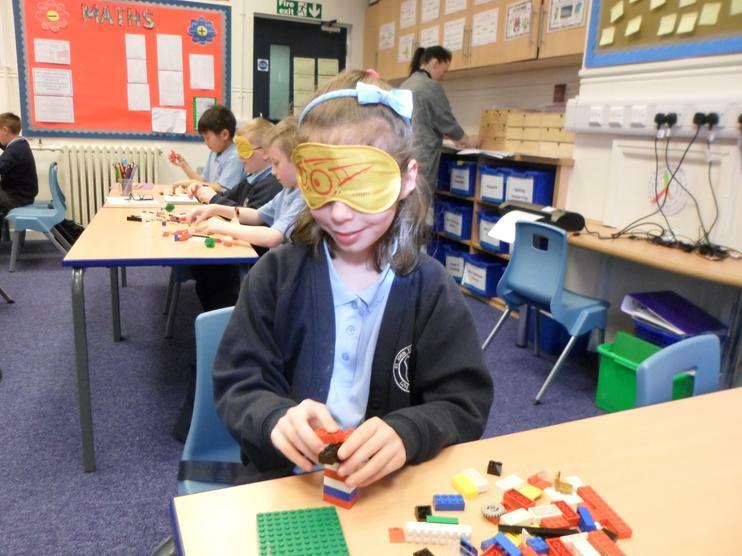 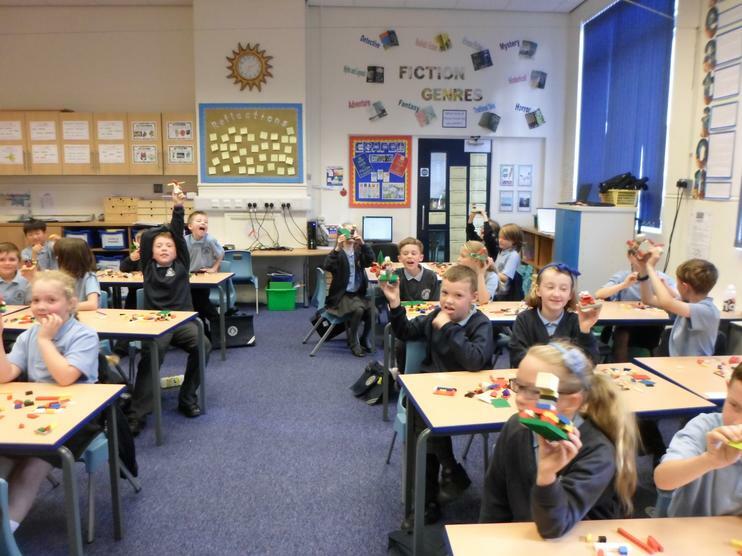 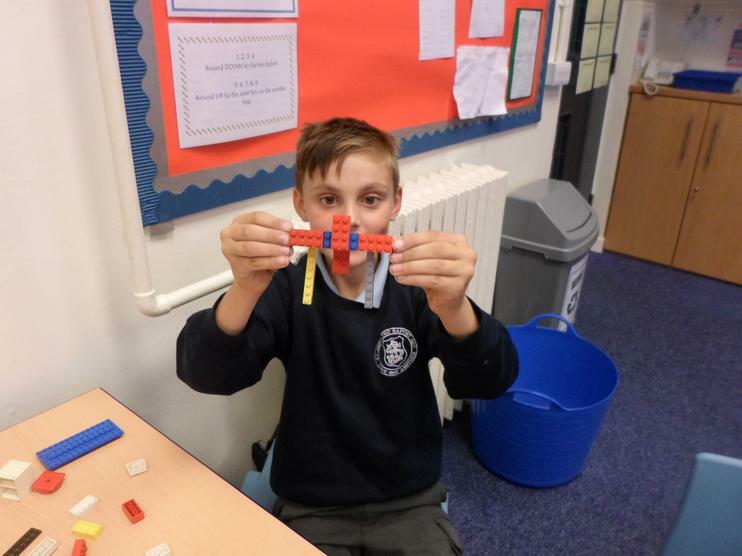 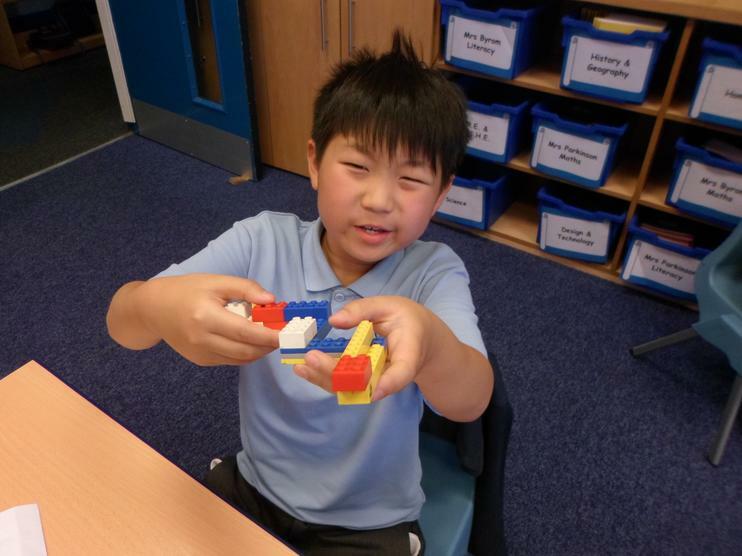 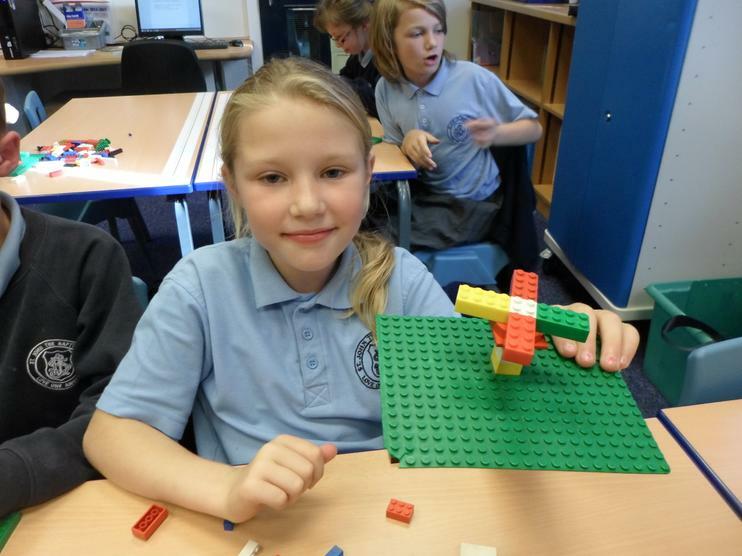 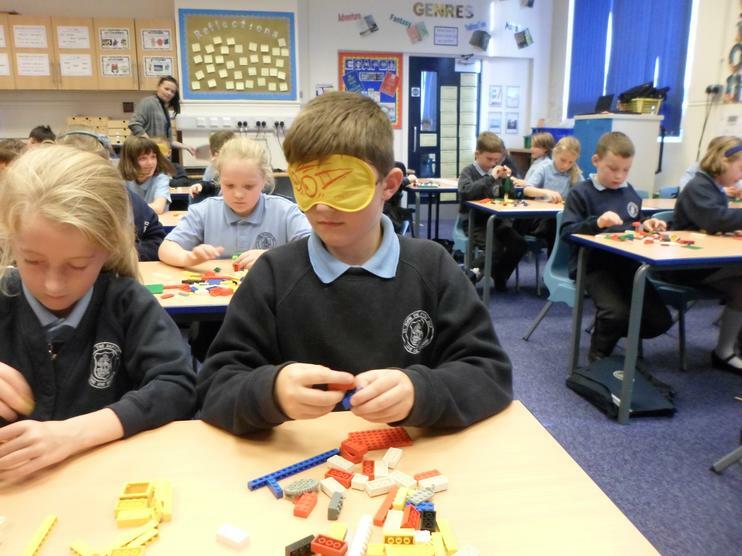 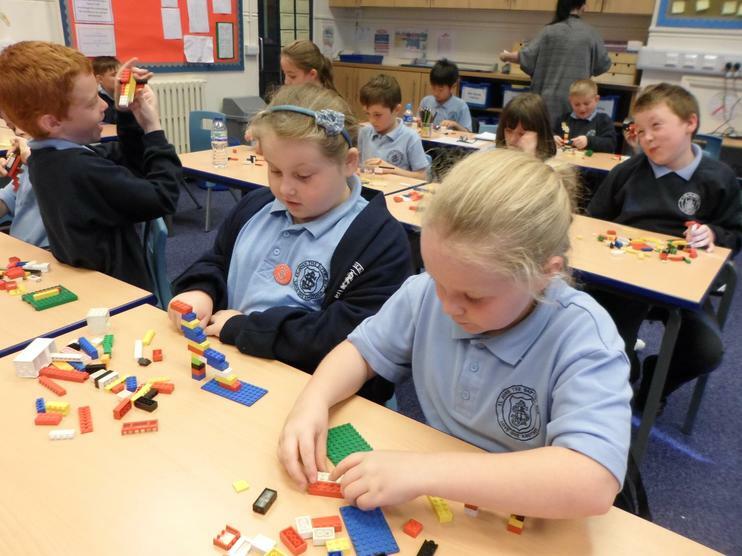 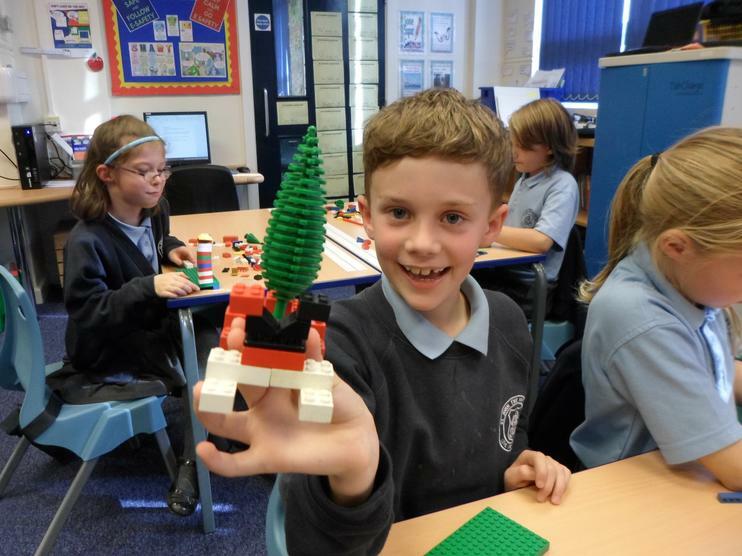 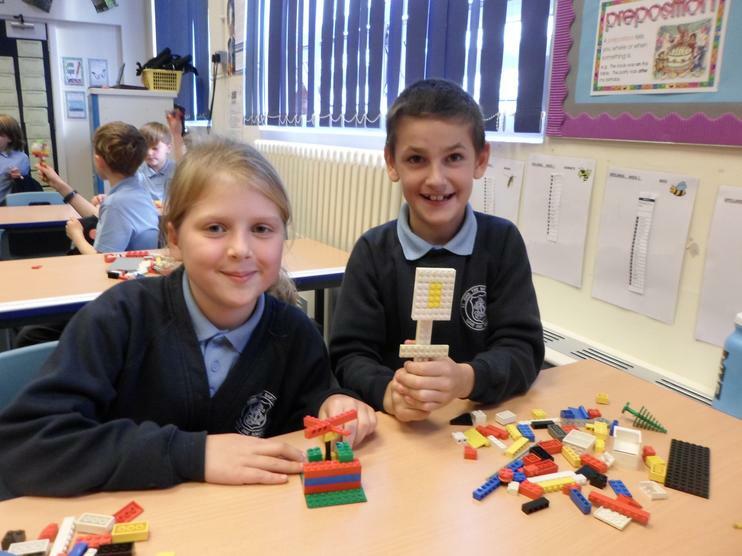 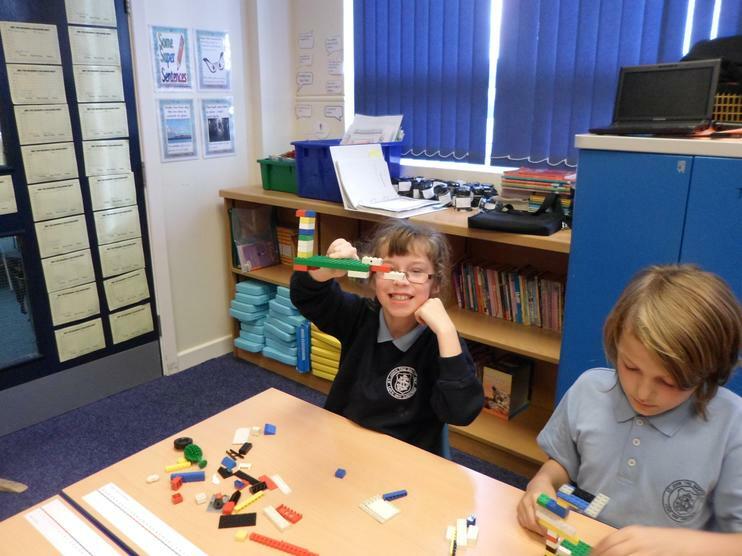 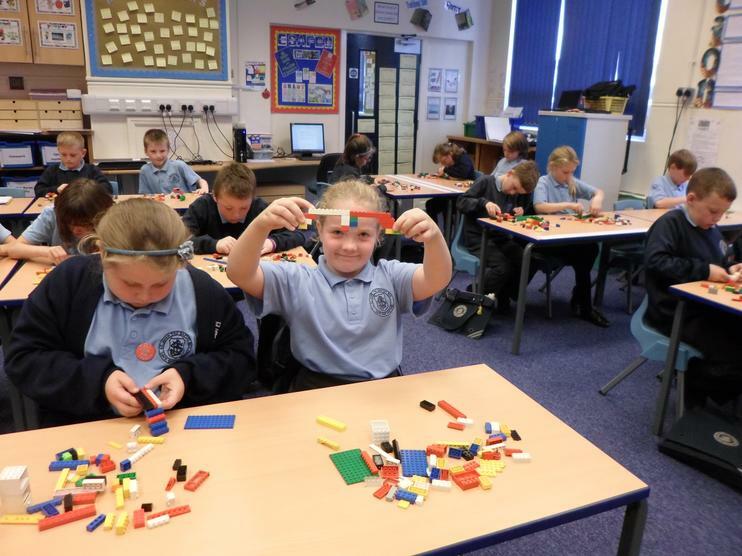 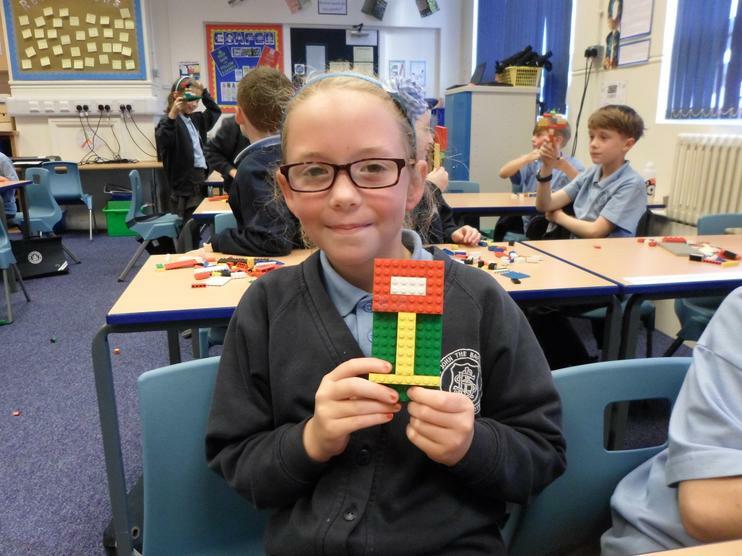 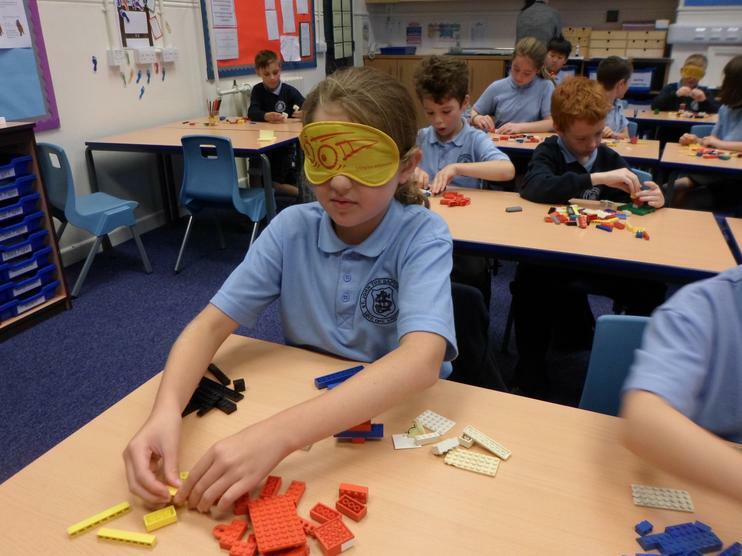 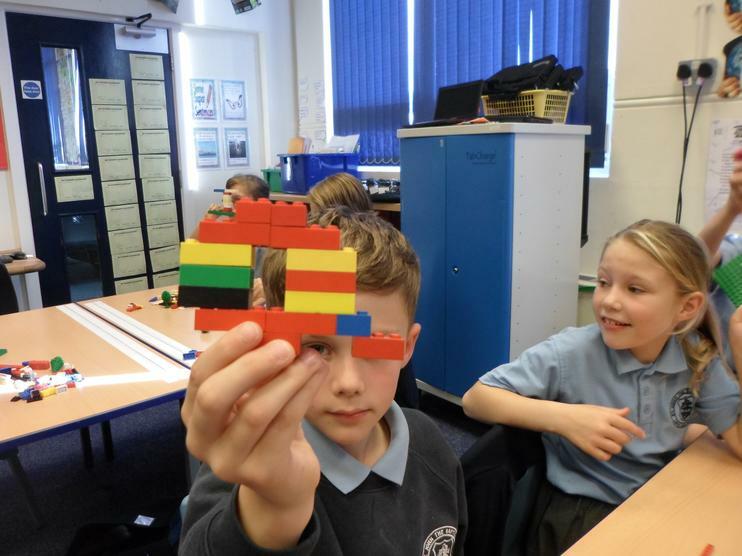 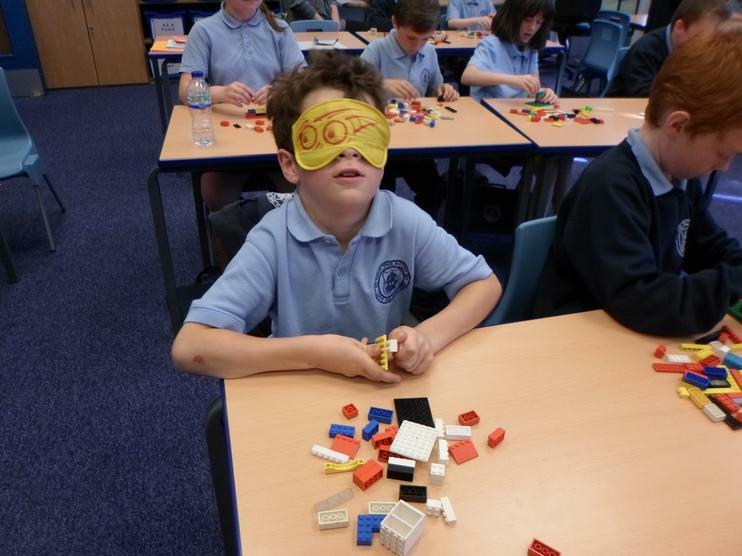 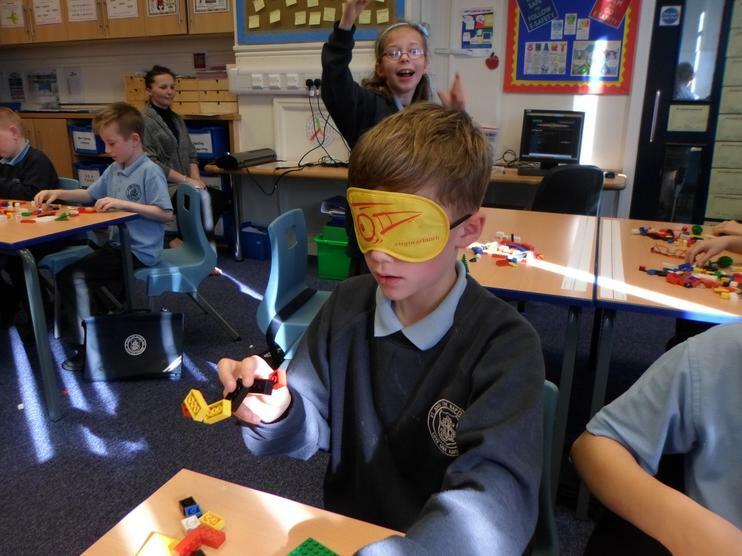 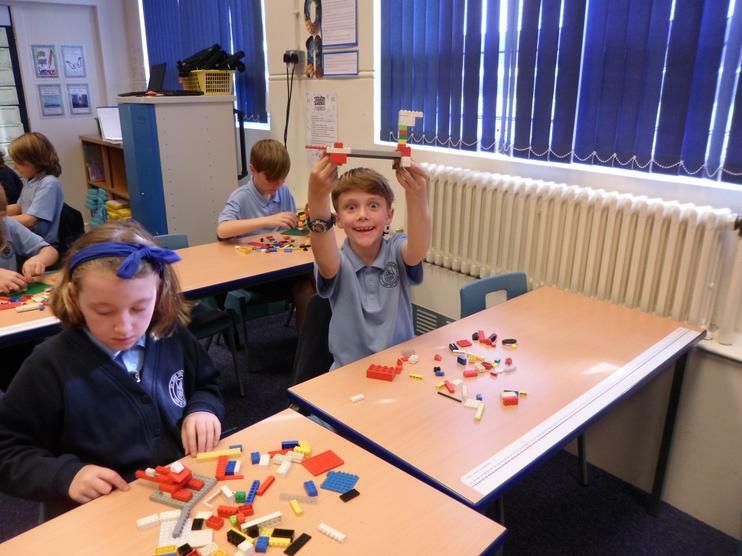 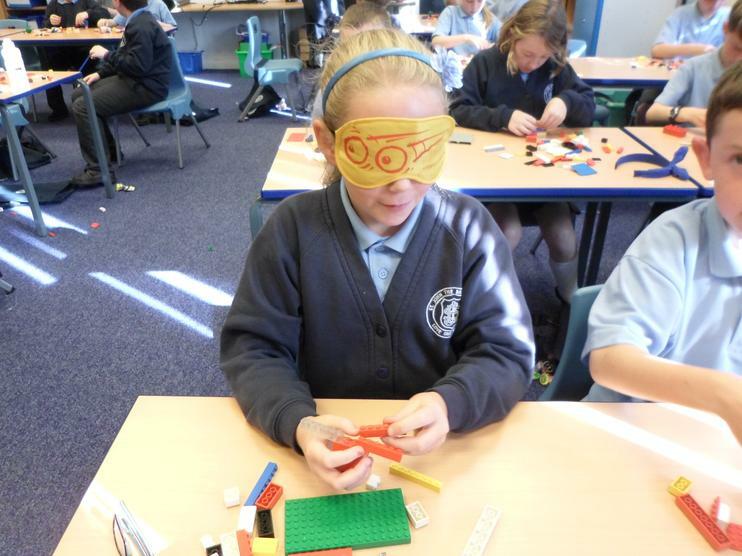 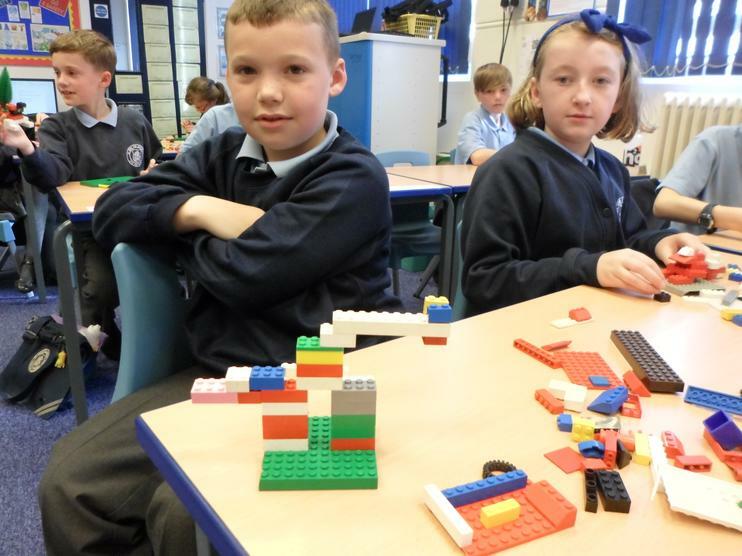 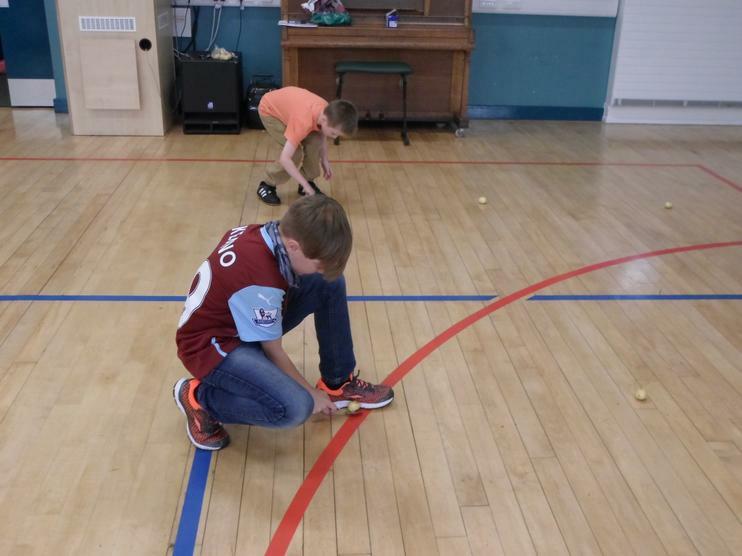 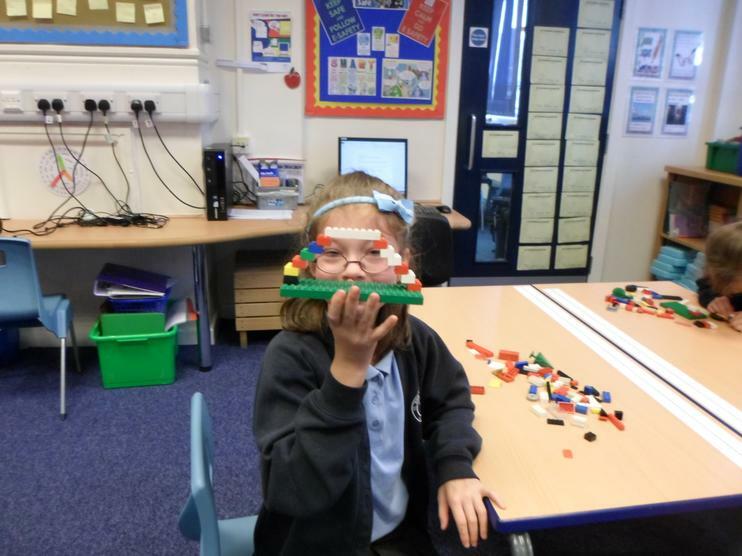 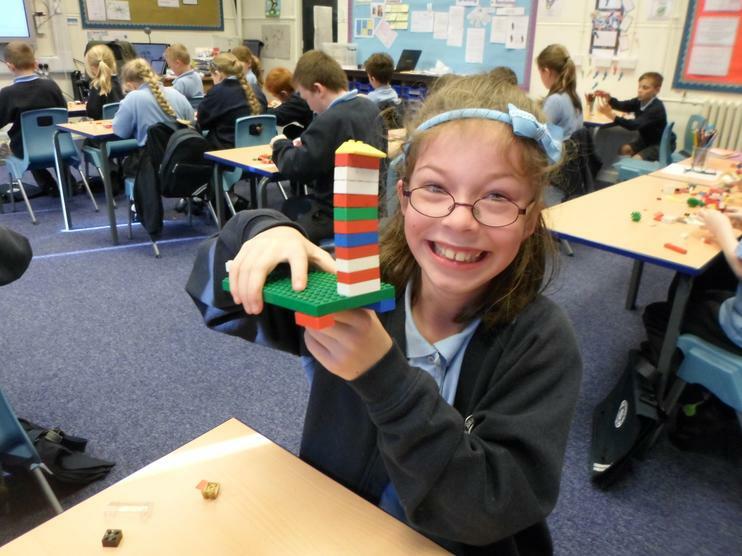 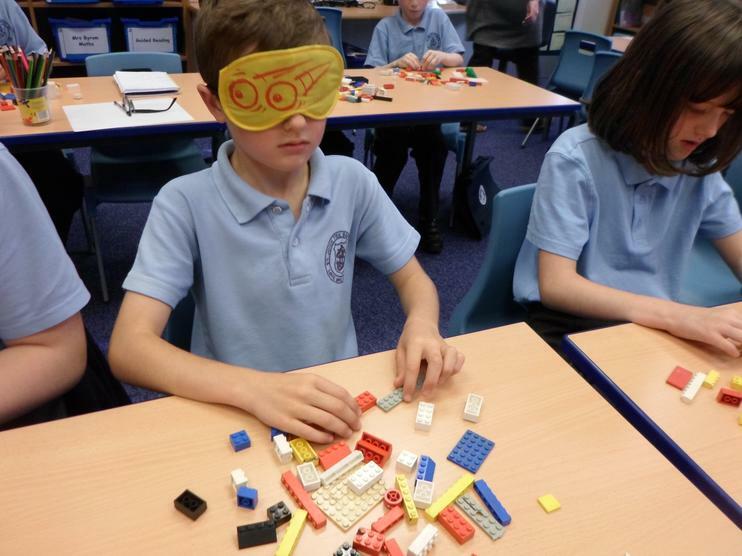 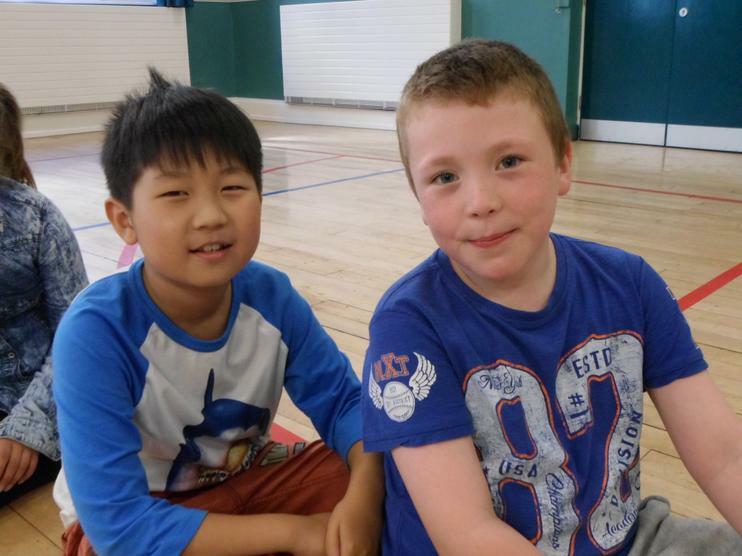 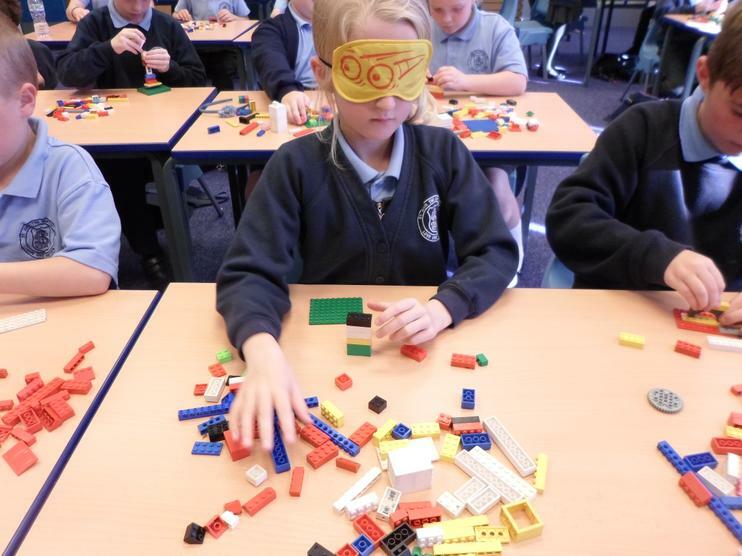 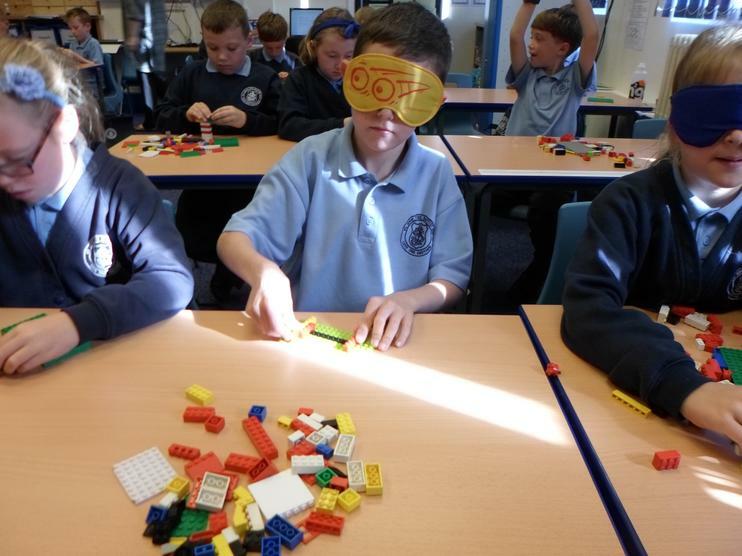 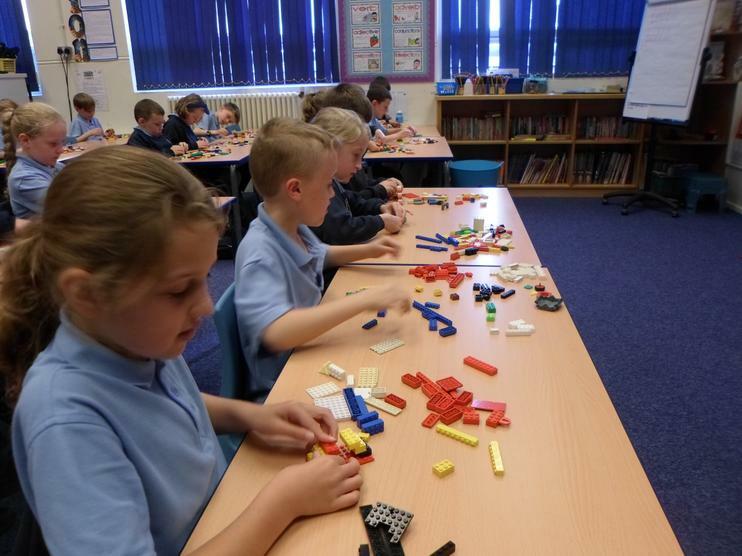 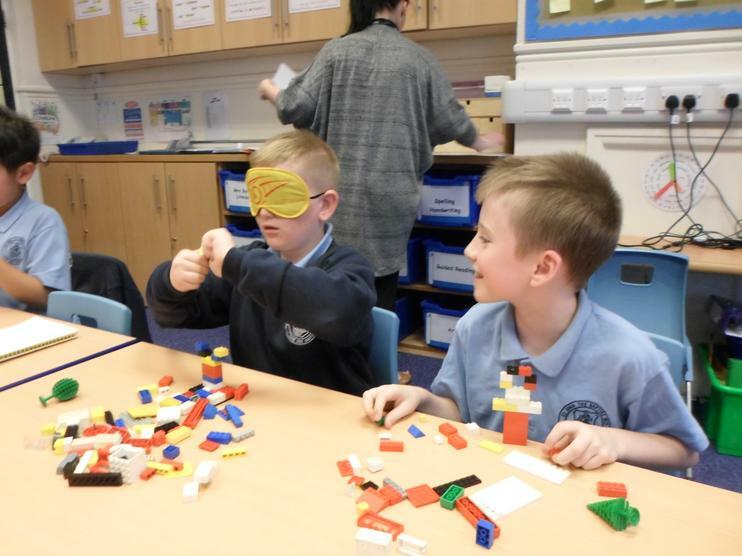 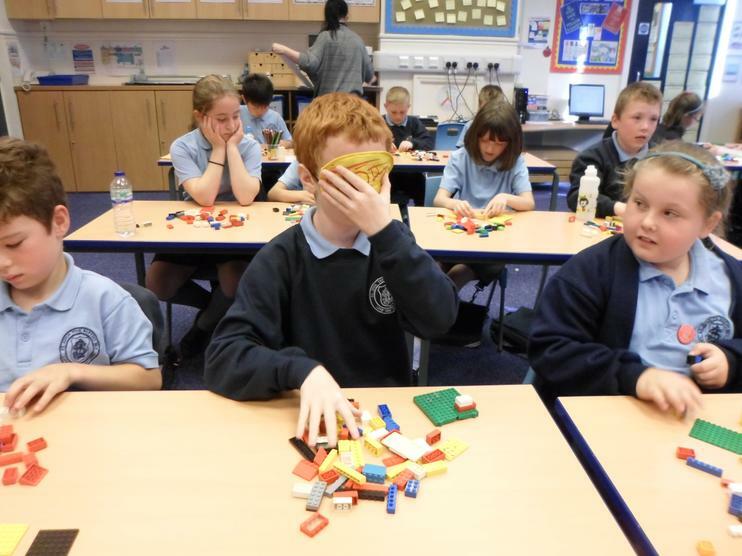 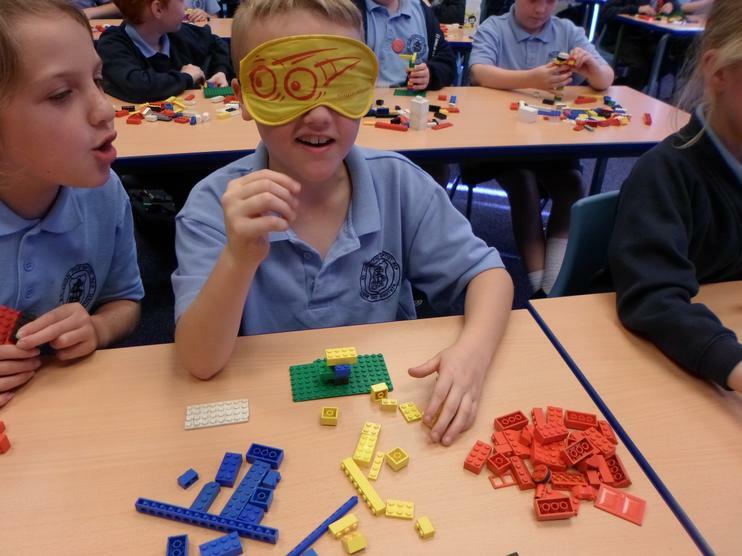 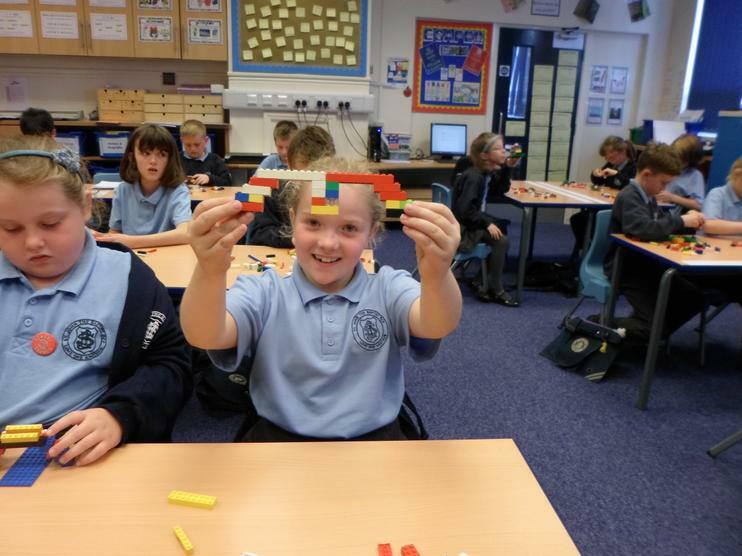 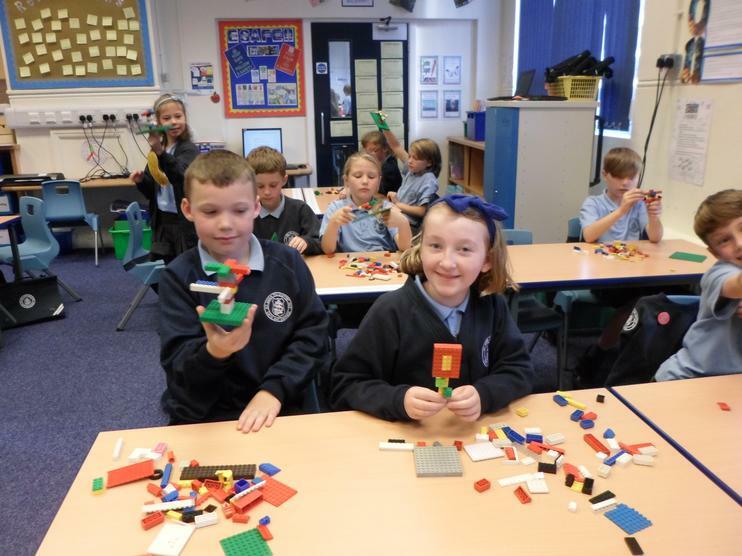 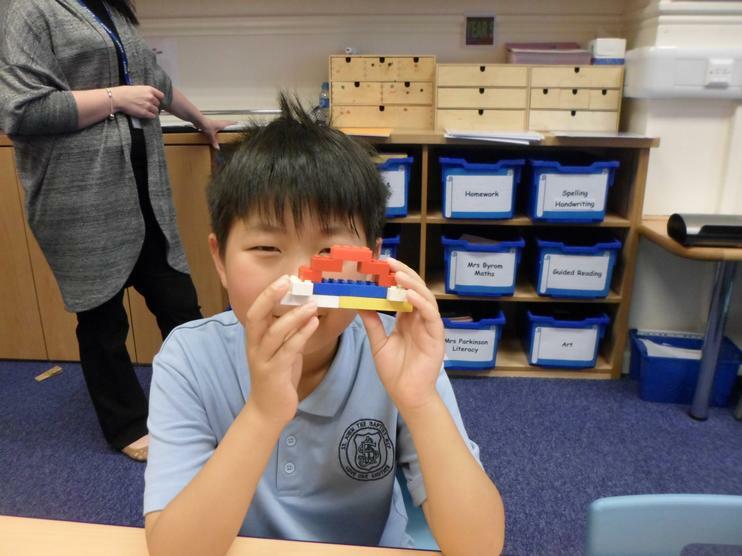 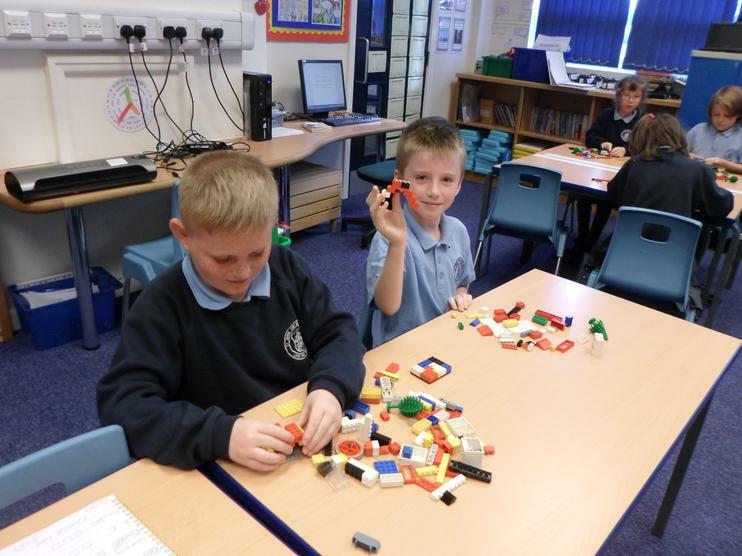 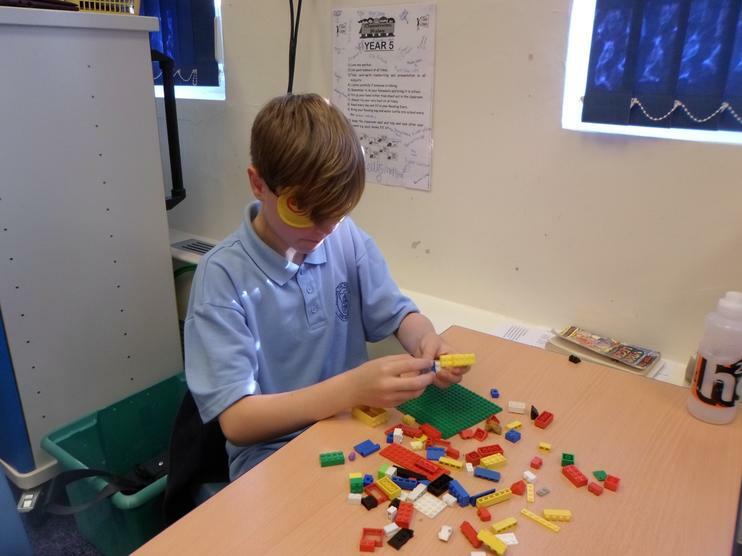 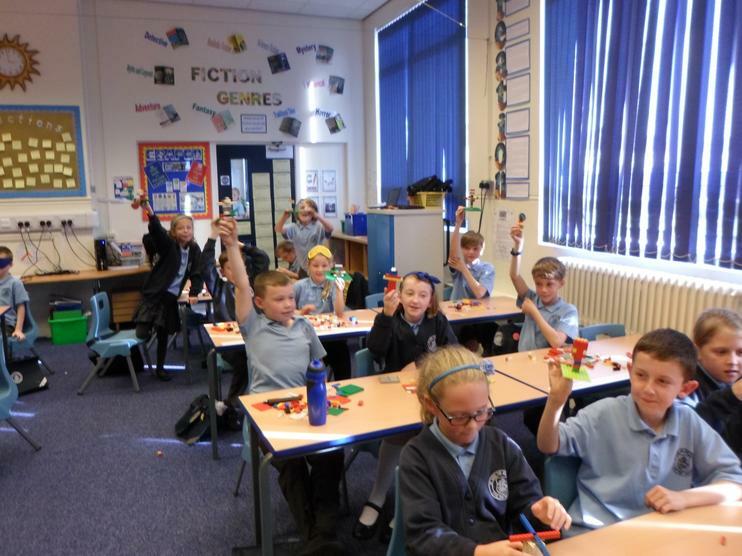 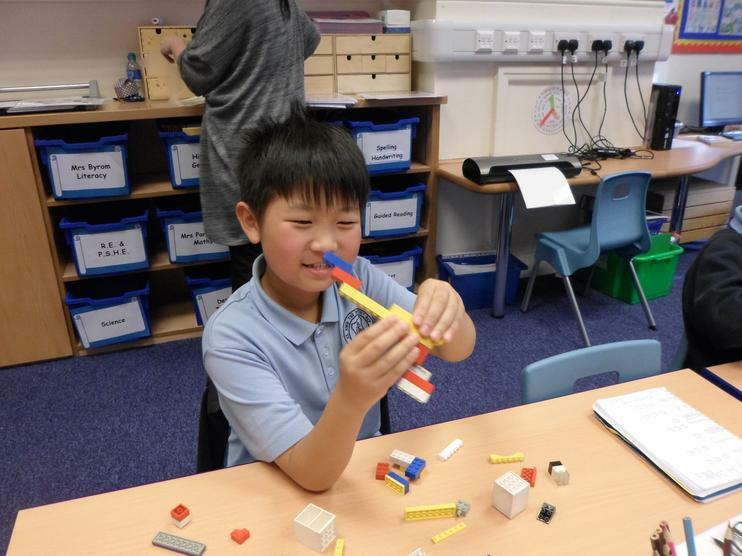 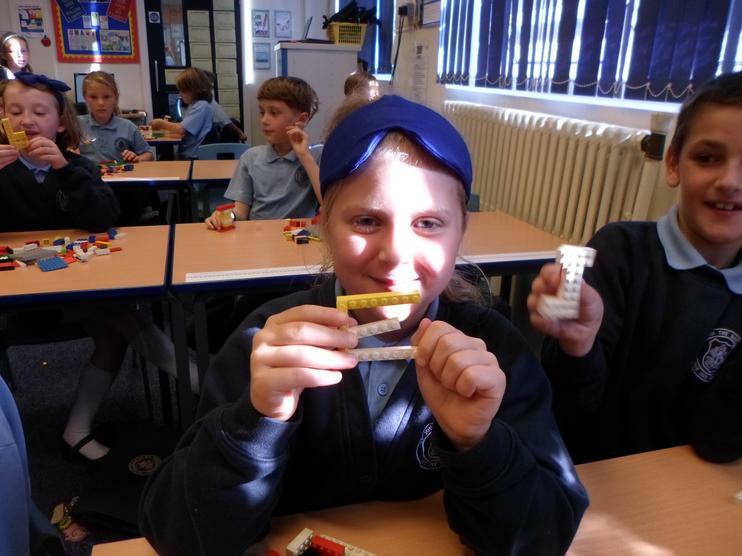 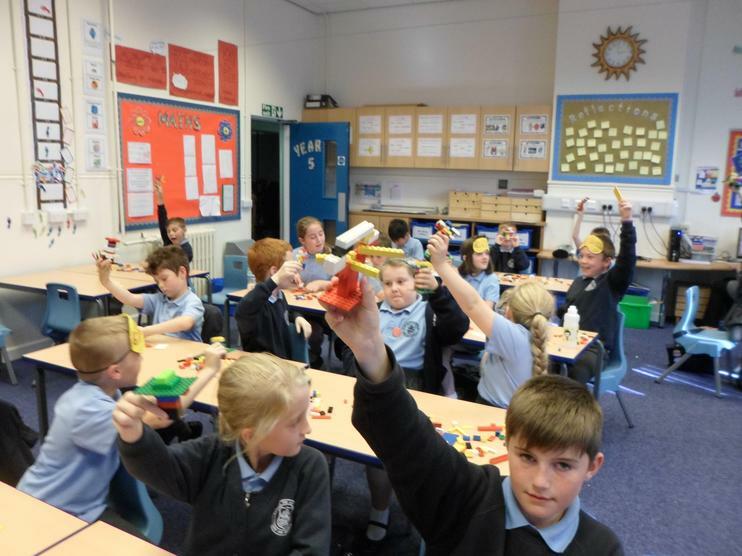 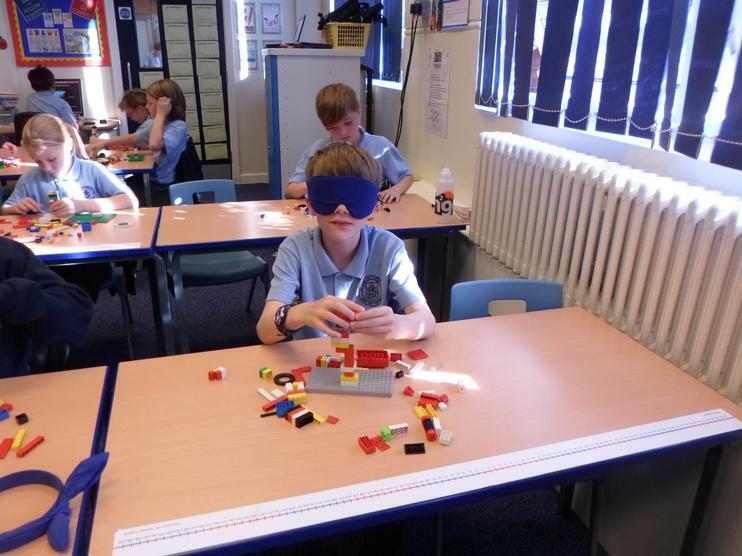 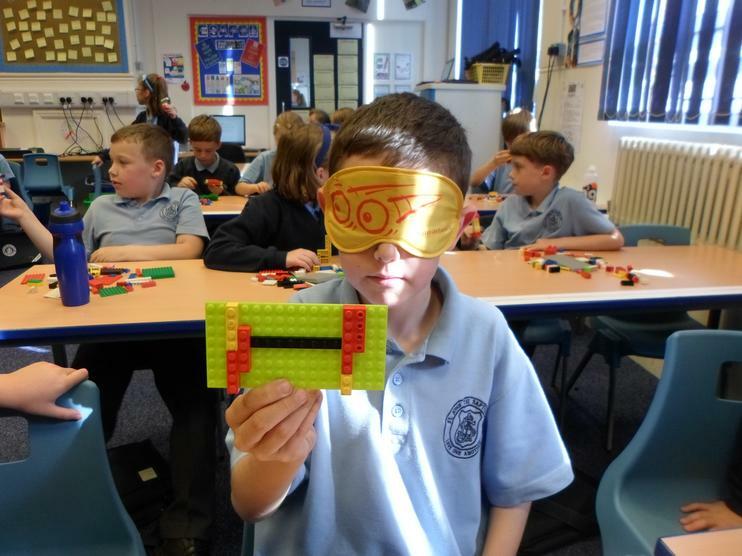 This week Year Five's Fun Friday activity was a Lego Challenge! 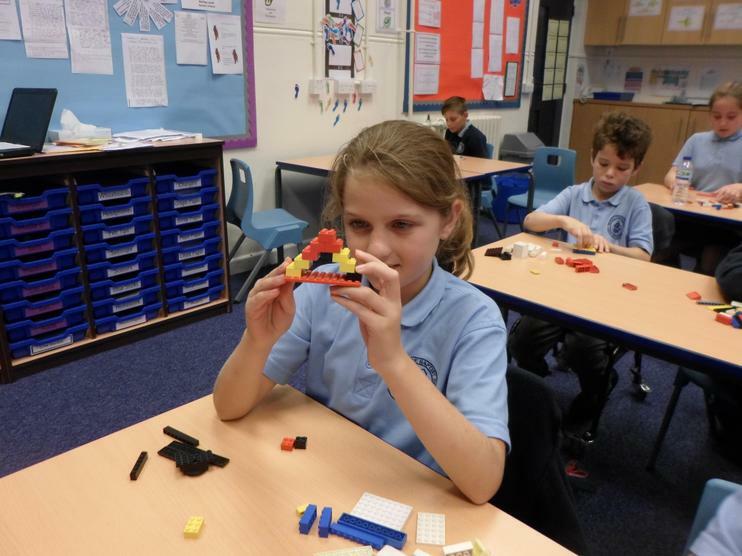 The children were given a mixture of Lego pieces and when the timer started, they had a set time to make different objects. 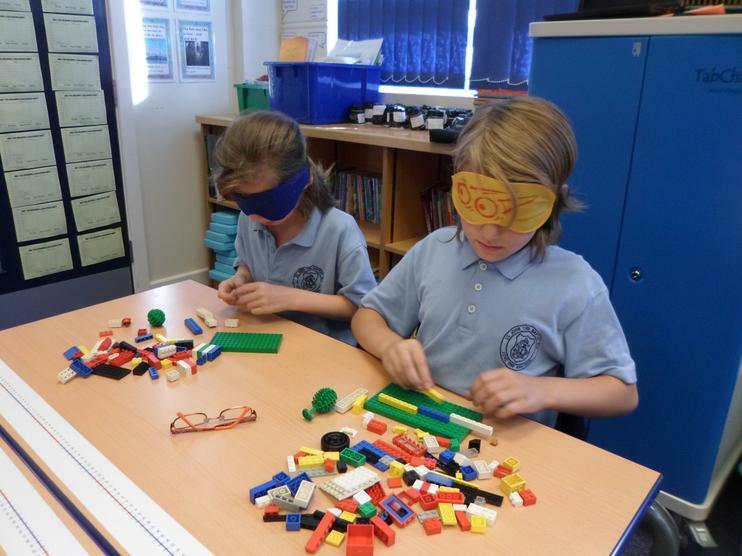 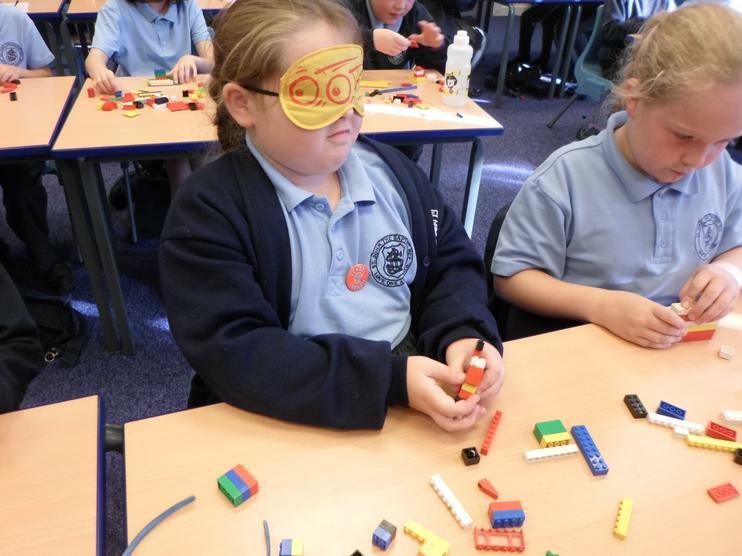 To make things even more fun,they also had to build some of the items wearing a blindfold. 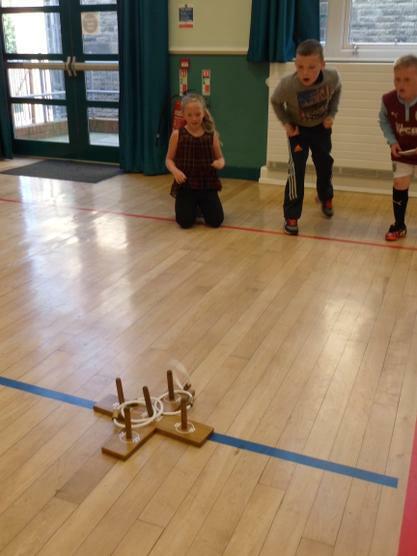 I have to say I was very impressed with the results.Take a look at the photos or even better why not have a go!